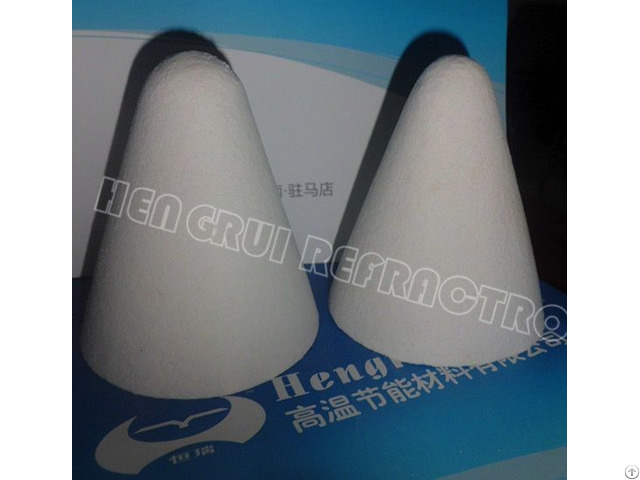 Hengrui ceramic fiber vacuum formed shapes are made of high-quality ceramic fiber bulk by adopting the technique of vacuum forming. 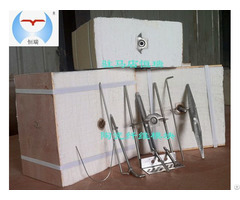 The purpose of making these products is to meet the special requirements of insulation in industrial field. Various products need to have specialized molds according to their unique shape and size for meeting customers’ requirements. All formed shapes have a lower shrinkage within applicable temperature, and can maintain the characteristics such as insulation, lightweight, etc. During the period of using the products, they won’t be eroded by lots of molten metal.  Can be made into various of complex shapes, high dimension accuracy.  Contact with flame directly, no odor and volatile gases at high temperatures.  High mechanical strength, resistance to gas flow.  Low shrinkage, low thermal conductivity.  Excellent strength in high temperature and thermal stability.  Observation of industrial furnace.  Industrial furnace burner, door.  Plug and launder of Aluminum Products Industry.  Lining refractory of high-temperature laboratory furnace.  Non-ferrous metal melting tank padded, casting riser. 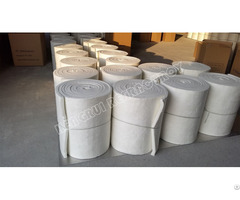  Roller furnace insulation bricks. Business Description: Zhumadian Hengrui High-temperature Energy-saving Material Co., Ltd located in Zhumadian city, Henan province, is a high-tech company which has a diversified development in the industry of high-temperature material. 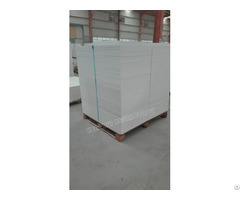 We mainly produce insulating products which aims at providing excellent products and services for society, including ceramic fiber board/ blanket/bulk/ modules/ paper, Ceramic Fiber Vacuum Formed Shapes, high-temperature binder,etc. We also offer specific engineering techniques of insulation and engineering services. Hengrui has advanced manufacturing techniques and technologies of lightweight insulating products. We can produce over 6000 tons products per year include ceramic fiber series products of 1050, 1260, 1350, 1430, and PMF products of 1700 degrees. These products were used in the industries of metallurgy, glass, petrochemicals, machinery, electronics, and spaceflight for insulation and fireproofing, etc. Through several years’efforts, Hengrui became a perfect brand for high cost performance and good after-sales service on the basis of unremitting innovation of technology and advanced management of quality. Our company was authenticated by Standard System Management System of GB/T1900-2008/ISO9001:2008. Our products covered the markets all over China for superior quality, and the products are also sold in Korea, India, Australia, Thailand, etc. We believe in the business philosophy of quality first, integrity-oriented, technology-oriented. All of us in the company welcome friends all over the world come here for visit and guidance, and we also hope we can have sincere cooperation and common development with each other.